Compact and comfortable, the CC-60S is ideal for beginning players. The smaller concert sized body is easy to maneuver in any playing position, with an articulate voice that's great for fingerpicking. 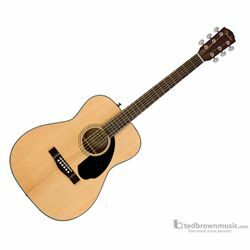 Its tuneful solid spruce top, easy to play neck, and mahogany back and sides make the CC-60S a perfect choice for the beach, the patio or the coffeehouse.